Yesterday, I posted the Hymn of the Day: Revive Us Again (You can click the link to read it and see the music). In that post, I mentioned how prayer was a fuel to a revival. Well, today I have the link (RevivalPrayerMeeting originally from CHRISTIAN LIFE Magazine)to a very fascinating story about a man who started a prayer meeting. The meeting started out with Jeremiah Lanphier inviting people to a prayer meeting once a week during the lunch break hour of the business day. The first meeting started at noon and Jeremiah was the only one to show up for the first half-hour. He was greatly discouraged until he heard a man come up the steps into the room! That Wednesday only 6 men came to pray. Nothing extraordinary happened in the meeting that lasted until 1 o’clock. They simply prayed for a few minutes and then Jeremiah concluded the group by inviting them back the following Wednesday for more time in prayer. The second meeting brought 20 men during the lunch hour. The following Wednesday after that brought 40. When Jeremiah saw the numbers that were coming he decided to make the meeting a daily meeting during lunch. Eventually, the crowds grew to 3,000 people coming to pray. Each person that attended had the chance to pray for no more than 5 minutes each. After the first meeting started at noon and Jeremiah was the only one to show up for the first half-hour. He was greatly discouraged until he heard a man come up the steps into the room! That Wednesday only 6 men came to pray. Nothing extraordinary happened in the meeting that lasted until 1 o’clock. They simply prayed for a few minutes and then Jeremiah concluded the group by inviting them back the following Wednesday for more time in prayer. The second meeting brought 20 men during the lunch hour. The following Wednesday after that brought 40. When Jeremiah saw the numbers that were coming he decided to make the meeting a daily meeting during lunch. Eventually, the crowds grew to 3,000 people coming to pray. Each person that attended had the chance to pray for no more than 5 minutes each. After six months 10,000 people were attending in New York City out of the 800,000 people who resided in New York City in 1858. The ramifications of Jeremiah Lanphier’s desire to pray just once a week during the lunch break was perhaps one of the last “great revivals”, aside from maybe Billy Graham’s crusade if they count. The power of prayer is a great tool for the Christian. 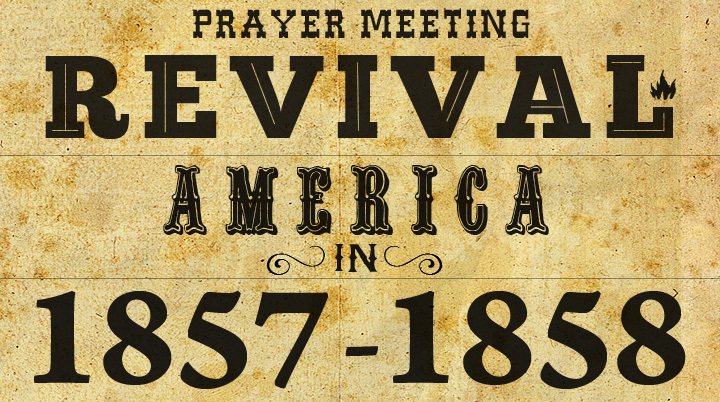 God answered the prayers of Jeremiah in 1858ish and it sparked a great revival. Perhaps this is something the American Christians can look back on and follow in Lanphier’s steps to pray.